The box office may be dominated by sequels, prequels and reboots these days, but when a movie can stand on its own, it's truly a success. But sometimes the movies that seem the most original, most unique, or just the most successful can hide serious links to other movies - even establishing a shared movie universe audiences never knew to look for. Until now. Here are Screen Rant's 10 Awesome Secret Relations Between Popular Movies. The second Avengers team-up saw Marvel's best take on an evil robot, hellbent on lifting a city into the sky using cutting-edge technology. But it's not exactly an original idea. Marvel fans may not have seen or heard of Castle in the Sky, Hayao Miyazaki's first animated movie released through the world famous Studio Ghibli. But the movie also happened to feature a floating city, not to mention robots of its own. Did Ultron get his idea from the same animated film? The answer might be clear, once you catch one of the movie's thin-limbed robot protectors, rendered in 3D inside Tony Stark's Avengers Tower. Since Steven Spielberg was one of the only people to guess that Star Wars would be a massive success, it only seems right for him to include a nod in his own story of an alien encounter. When Elliot takes E.T. out trick-or-treating, a kid in a Yoda costume walks by, with E.T. seeming to recognize the other alien visitor. It was just a playful joke, but George Lucas doubled down, making sure to include members of E.T. 's race in his own Galactic Senate, establishing that E.T. and Yoda really were neighbors in the very same galaxy. You might think all the movies have in common is director Christopher Nolan, but a supporting character suggests they take place in the same universe. Actor Thomas Lennon is the key, having first played a young, unnamed doctor in Nolan's fragmented Memento. When filming began on the final chapter of his Dark Knight Trilogy, Lennon got a call to once again appear as Bruce Wayne's personal doctor. Lennon played the role exactly the same, admitting that he assumed it was the same doctor - which meant, to him at least, the Batman story was all taking place in the damaged brain of Memento's hero, Leonard Shelby. From the moment director Robert Rodriguez met Danny Trejo on the set of Desperado, he began writing an entire film around his intimidating, ruthless personality, picturing 'Machete' as a Latin action hero. But before he could make the movie, Rodriguez moved onto the family-friendly Spy Kids series. Seeing an opportunity, he cast Trejo as the kids' Uncle Machete, eventually cutting a mock trailer for a standalone movie as part of the Grindhouse double feature. Two feature films would follow, making Uncle Machete a memorable figure with two completely different audiences. Before Jason Statham was a certified action star, he made a name for himself in director Guy Ritchie's tales of London crime - with Lock, Stock and Two Smoking Barrels among his first. Tom Cruise was apparently a fan, looking to star in a Hollywood remake. 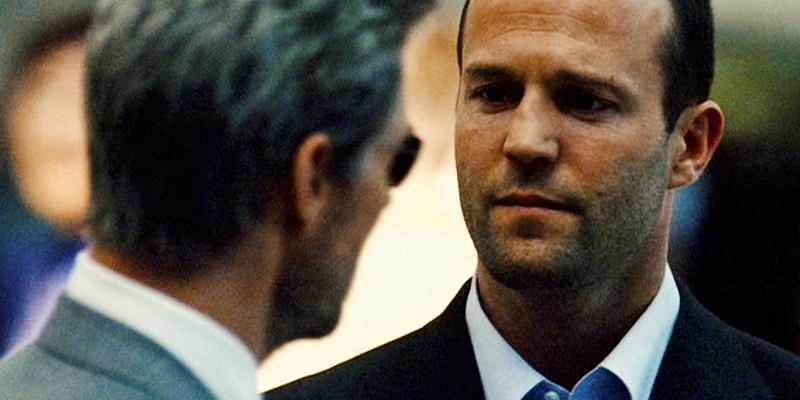 That never happened, but Statham did land a small role in Cruise's Collateral - a scene that meant much more to Statham's fans. It's easy to see why most view the cameo as an appearance by Frank Martin, the star of The Transporter series. It's never stated outright, but Statham arriving, delivering a bag, and asking no questions is more than enough proof for fans. Movie fans know that director Michael Bay's movies tend to look alike, but there's actual evidence to suggest they take place in the same shared universe. At least, two of his most famous might. When the American President had to order an airstrike on hostages held on Alcatraz in The Rock, Bay turned to actor Stanley Anderson for the job. Just a few years later, when an asteroid was heading towards Earth in Armageddon, Bay called on the exact same actor to deliver yet another speech. Compared to the rest of the two movies, hearing they're set in the same fictional timeline isn't actually that hard to believe. It's the original Star Wars saga that Spaceballs is parodying, but a single joke teases that in this galaxy far, far away, Ellen Ripley and her crew also ran into the unforgettable monsters of the Alien movie series. How else do you explain the presence of actor John Hurt, reprising his role as the unfortunate victim of an alien chestburster? In this universe, it's obviously not as serious an injury. Can a single person really unite the two most famous space franchises in history? Fans have director J. J. Abrams to thank for linking the two series, including one of the iconic R2 droids in not just the Star Trek reboot, but in the sequel, Star Trek Into Darkness. Audiences can still play favourites between Trek and Wars, but on the big screen, a pair of easter eggs means they no longer have to. As crazy as the world of the Fast & Furious may have become, cars are still cars - not intelligent members of the cast. At least, not every car in the franchise's universe. At the end of the first movie, Dominic Toretto accidentally totals his prized Dodge Charger before running from the police. But fans will have to look to Herbie the Lovebug to find out what happened to the car after the crash. The opening of Herbie: Fully Loaded takes place in a car-filled junkyard, with Toretto's Charger placed front and center by the production company. Now we can only wait until the Fast & Furious cars start talking themselves. Those are all the subtle, sneaky, or downright invisible links between hit movies that we could find, but which ones do you know of that we missed? Let us know in the comments, and don't forget to subscribe to our YouTube channel for more videos like this one!